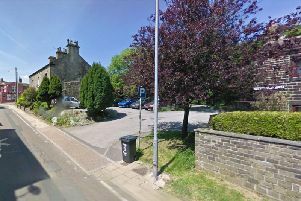 Proposed two storey side extension to north elevation, single storey side extension to south elevation, demolition of existing porch and construction of garden terrace: Salterlee Lodge, Salterlee, Shibden. Removal of existing first floor, replacement with new first floor construction and roof. Acoustic fencing and raised terrace within garden: Hillside Savile Road, Hebden Bridge . Conversion of existing basement into five self contained flats: Dodge Holme Court, Calder Close, Mixenden. Single storey side extension: 10 Riverside Court, Ripponden. Demolition of garage to facilitate single storey extension to side & rear: 14 Illingworth Grove, Illingworth. Demolition of existing garage to facilitate single storey extension to form ancillary accommodation and reconstruction of conservatory to form a Sun Room: 178 Smith House Lane, Lightcliffe. Demolition of conservatory to facilitate two storey side extension: 1 - 3 Spring Lane, Greetland. Conversion of kitchen and store to a two bedroomed dwelling: Moorcock Inn, Moor Bottom Lane, Norland. Hall and porch extension: Stonecroft, 15 Upper Brockholes Per Lane, Causeway Foot, Halifax. New garden room to side of property: 80 High Street, Luddenden. Two storey side/rear extension and single storey rear extension: 34 Gleanings Avenue Halifax. Single side storey extension: 55 Caldene Avenue, Mytholmroyd.